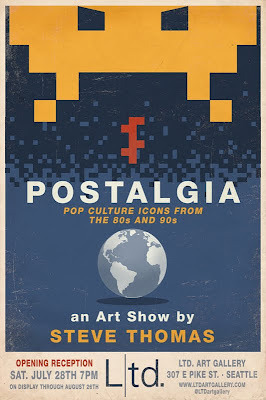 Steve Thomas [Illustration]: First solo gallery show at Ltd. Art Gallery in Seattle, opens July 28. 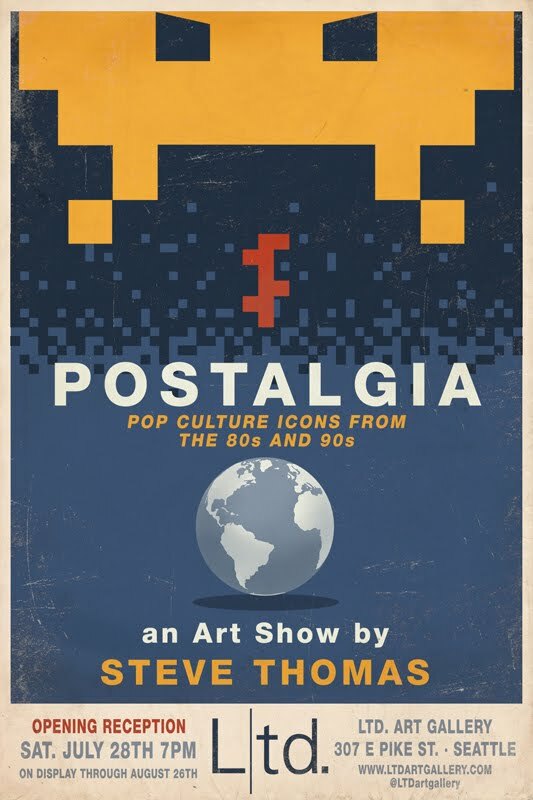 First solo gallery show at Ltd. Art Gallery in Seattle, opens July 28. Ltd. Art Gallery asked me a few months back if I was interested in a solo gallery show. I had done a couple of group shows with them before and jumped at the opportunity. Opening night is July 28 and it will be on display until Aug. 26. There will be some old stuff that I'm going to turn into mixed media pieces. Plus there will be some brand new, never before seen prints. Everything is inspired by screen gems from the 80s and 90s, whether it be TV, video game or movies. So, if you are in Seattle during that time, be sure to stop by 307 E Pike St. I'm planning on being there for the opening on the 28th and I'd love to meet you, if you can make it. Congrats! Actually planning on being there the week after it ends :( Have fun!